Reports of crimes involving Facebook and Twitter – such as posting abusive messages, grooming and complaints of stalking – have increased eight-fold in four years. In 2008, a total of 556 complaints were made to police, according to the statistics released by 29 police forces in a Freedom of Information request. But the phenomenon of social networking crime has grown substantially and last year 4,908 offences were reported in which the two sites were a factor. The figures show 653 people were charged for social networking crime in 2011 alone. Police forces said there has been a wide variety of offences via the social media platforms, with harassment and menacing messages among the most common. Greater Manchester Police charged the highest number of people, at 115. Lancashire Police received reports of six threats of murder and there were numerous sexual offences as well as allegations of racially aggravated conduct and reports of fraud. Civil liberties campaigners said the statistics demonstrate how some police forces had ‘lost all proportion’ in dealing with social media complaints. They added that the figures reveal how poorly some police forces have dealt with complaints about comments made online. Nick Pickles, director of civil liberties campaign group Big Brother Watch, said: ‘These figures show just how badly some police forces had lost all proportion when dealing with social media. ‘So many arrests was clearly undermining freedom of speech and while the new guidance should reduce the problem, hundreds of people now have criminal records for the rest of their lives when it is far from clear they should do. Chief Constable Andy Trotter, the Association of Chief Police Officers’ lead on communications, said forces must prioritise crimes which cause genuine harm, rather than attempting to curb freedom of expression. Paul Chambers’s conviction for joking on Twitter about blowing up Robin Hood Airport in South Yorkshire was one of the most high profile social networking crime cases in recent years. Mr Chambers tweeted ‘Robin Hood Airport is closed. You’ve got a week and a bit to get your s*** together otherwise I am blowing the airport sky high! !’ when it was closed because of snow. He was convicted in May 2010 of sending a menacing communication under the Communications Act, when an airport security official saw the tweet five days later. 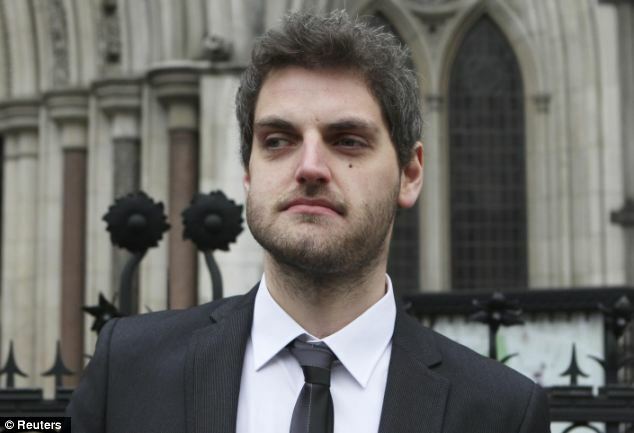 Mr Chambers was supported by the likes of Al Murray and Stephen Fry during his appeal and his conviction was eventually over turned at the High Court in February. Since then the Crown Prosecution Service (CPS) set a ‘high threshold’ for police intervention in social networking crime intervention, which is expected to result in fewer criminal charges being brought. Director of public prosecutions Keir Starmer QC announced the new guidelines on how people who post offensive messages on Facebook and Twitter should be dealt with. Mr Starmer admitted the CPS made the wrong ‘judgement call’ in the Chambers case. He said: ‘In most cases, once you have put the (new) safeguards in place then a prosecution is unlikely to be the appropriate response. Other high-profile cases involving social media include nine people who were each ordered to pay compensation to a woman raped by Ched Evans who they named on Twitter or Facebook. Mr Trotter said social media poses new challenges for police. He said: ‘It is a new world for all and we could end up in a situation where each constabulary needs a dedicated Twitter squad. In my opinion, that would not be a good use of resources in difficult financial times. ‘We need to accept that people have the right to communicate, even to communicate in an obnoxious or disagreeable way, and there is no desire on the part of the police to get involved in that judgment. Police forces that responded to a Freedom of Information request said 653 people faced criminal charges this year over allegations involving the two sites that included posting abusive messages ad crimes that were provoked by postings such as violent attacks. Four years ago just 46 people were charged. Tayside Police received 66 reports involving the sites this year, 44 of these involved sending obscene or menacing messages and in Merseyside 21 of the 76 crimes reported this year involved harassment. Other notable cases that have caused fierce debate about freedom of speech include that of Reece Messer, 17, who was given an official warning for ‘offensive’ tweets he posted about diver Tom Daley. Last month, Linford House, 19, was arrested after complaints were made about a tweet in which he was seen burning a Poppy. He was arrested by Kent Police but did not face prosecution for the picture, which he published in the early hours of Remembrance Sunday. Mr Trotter said offences involving social media can be roughly divided between crimes which would have been committed, albeit in a different way, before the emergence of social media and those which exist because of the online platform. ‘There is an issue of public expectation,’ he said. ‘We have to respect free speech and cannot have police forces responding simply because of public outcry.